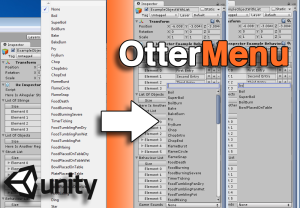 Otter Menu lets you draw nested and filterable drop down lists, so no more lengthy drop downs that are difficult to select. Just start typing, and the list filters down automatically to entries containing what you type. 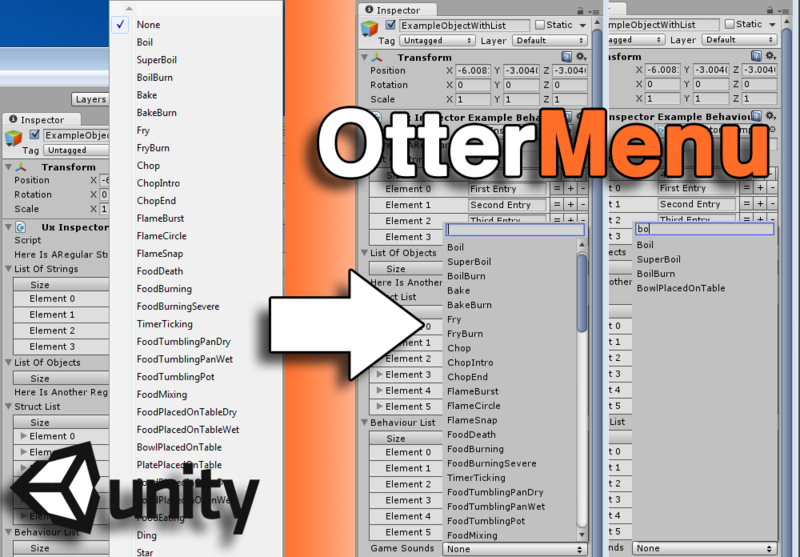 Otter Menu works automatically on enum lists too, with no code changes required, so no more multi-page enum lists!